Today I’m joining forces with Shay , Erika, Andrea, and Narci to spend a day honoring our friend Manda and blessing some ladies that are going through a difficult time. I shared this with you sometime last year, but I would love it if you would take the time to watch Manda talk about her faith. In October of 2015, Manda and her mom gave a talk at our church. Hearing them talk about their faith….even in the midst of unimaginable trials (as far back as when Manda was 5 and first diagnosed with cancer) was inspiring. I think hearing their words will change you. They definitely changed me. Click HERE for the Coffee House talk. I promise that it will bless you. And if you want to see how loved Manda was, all you need to do is watch her service. Her family, her friends, and her community all loved her dearly and rallied around her while she fought with Faith Over Fear….a choice that she made every single day, with God on her side. There is no doubt that Manda wanted to win her battle with cancer, but there is also no doubt that she wanted to tell people about Jesus and bring people to Him. I think her coffee house talk and her service will do that. In fact, I know they already have. Several stories have already been shared of how people accepted Jesus into their hearts for the first time. I’ve also heard of people who say their faith was reignited because of Manda. A mom even wrote me to say she let her young son watch part of the service, and after watching he said he wanted to “be a flashlight for Jesus”. These are sweet words that our girl would love to hear. Manda has definitely been, and will continue to be, a flashlight for Jesus. 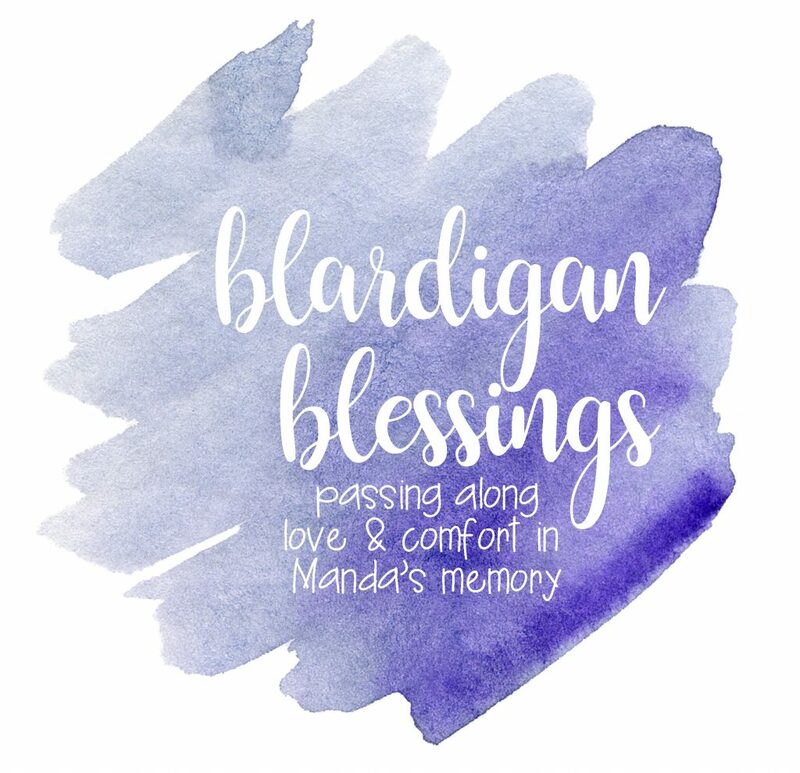 So, in honor of Manda, we want to give away 10 blardigans today to 10 women who are currently battling cancer. It’s a small gesture, but I know it would make Manda happy to know we are blessing some women who are going through what she went through. When Manda received her 3rd diagnosis (several years ago), we met in front of her house to pray over her. We wanted her to know that we were going to be there for her with both our prayers and our service. She knew that we would be praying for her, cooking for her family, doing grocery store runs, mall runs, having play dates with her kids, ANYTHING that she needed us to do. We needed her to know that we were going to be there for her. That night, we also gave her a blardigan. I know it sounds silly, but we hoped that when she was cozied up in her blardigan, she would think of how much we loved and supported her. 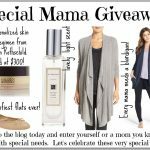 To enter, simply leave a comment on one of our blogs. You can enter yourself, or you can enter a friend. Names will be selected at random and all 10 recipients will be announced on Friday. The women that are chosen can choose between the baby blardigan (on the left) and the original blardigan (on the right). We know Manda is smiling down on us today. We love and miss you, Manda! 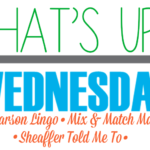 What’s Up Wednesday and My Picks for Kid’s Toys! Would love blardigan to wrap up in! Thank you for these beautiful links this morning. What an amazing woman. You were all blessed to have known and loved her, and she was blessed to have you as friends. She has touched my heart, and given me hope. And for that I am thankful today. My thoughts and prayers are with her family. What an amazing group of friends you were to her! For a friend batting for her life! Would love to see Tee cozily wrapped up in `this! I’m nominating my friend Jennifer who is bravely battling breast cancer with 2 young kids at home. She is only 31 and she too is keeping her eyes on God! I would love for her to be able to cuddle up in a blardigan. What a sweet way to honor Manda! I’d love to nominate my MIL, Mickey. She’s on her second battle with cancer and is fighting hard right now! I am nominating my friend Susie to receive a blardigan. Susie is valiantly battling pancreatic cancer. Whomever is selected will be blessed, for sure. Thank you. I nominate Katie Castillejos who is battling breast cancer. She’s only 34 and has 3 younger children. Manda sounds like an amazing person. For my friend Lynn who has breast cancer. What tribute to your friend! She seems like she was a very special person with a heart for God. I would like to nominate my good friend’s Mother – Mary. She is struggling and I think this would bless her in a small way. I would like to enter to win one for my momma in law Toni Deen who is just starting her battle with Breast Cancer, she was diagnosed in February and began her long treatment of Chemo last week. I know she would appreciate this to help keep her comfy and warm as her treatments are around 9 hours at a time. I would like to nominate my best friend of nearly 20 years, Erica. She is 28 years old battling Hodgkin’s lymphoma. She is an amazing mom to a one year old and has such a positive attitude through it all. I admire her so much for her strength and optimism. She loves comfortable clothes and I know she’d be so touched to be blessed with this<3. For Janie N. Prayers for everyone! Please pick my friend Ginni! I’m so sorry for your loss. As a mom of a childhood cancer survivor, I know how cancer can’t bring both the light and dark parts of life. For Roxanne, a 29 year old young single mom, who was newly diagnosed stage 2 breast cancer. I would love to gift her a blardigan to keep her cozy! So sorry to hear about your friends passing. I would like to nominate my friend, Amy. She has been battling cancer for over a year and she has done so with such grace and a positive outlook! I would like to nominate Donna Cheely, a sweet Godly woman in our church fighting a tough battle right now with cancer. I’d like to nominate Reese Walker for a blardigan. She’s only 13 and battling Ewing Sarcoma. She’s a beautiful young woman who could use a little blardigan comfort during her chemo days. I lost my mom to colon cancer in 2011, and sadly, now my best friend’s mom is battling breast cancer. Maureen has truly taken me on as a second daughter, and I am eternally grateful for that! She is the epitome of grace and strength, and her strong faith in God and “Thy will be done” attitude is so inspiring! Maureen had her lumpectomy last week and we are currently waiting to receive biopsy results so she can begin chemo and radiation. I can think of no one more deserving than her! I nominate my dear friend Donna Roberts, battling Colon cancer for the 2nd time, but it’s now in her liver, stomach and lungs. She’s a fighter! A wonderful gesture in the name of a wonderful friend! My dear friend Ginny would be blessed to wrap herself in the warmth and love of a blardigan. What a thoughtful way to honor your friend. I would love to wear this while I sit and wait for appointments. For my student Claire who has been beating Leukemia since May, 2016! For my mom who has been fighting lymphoma for 15 years … oh how she would love a blardigan! I would like to nominate Clare. A warrior. A courageous woman. What a beautiful person! I would love to win this blardigan for a dear friend, who is also a beautiful person. I’m nominating Brooke Turner, who is battling breast cancer for the second time. This is very thoughtful of you. I would love it if my friend Sarah would win. She is battling breast cancer. Her tumors are responding well to chemo, and she will meet with her surgeon at the end of March to determine next steps. I nominate Violet Kuchar. Shes currently fighting colon cancer. My beautiful 34 year old sister in law, Courtney Blessing, is battling stage 4 breast cancer while juggling a 2-year-old and a full-time job. She is one incredible person! She would love an adorable blardigan! I nominate my dear friend Amy Thomas who is battling breast cancer. She is a wife and mom of two teenage boys. She has had a double mastectomy and is currently having chemo. Thank you for such a kind gesture! I’m nominating my mother who is in the middle of chemo treatments for breast cancer. Her bravery inspires me daily. Such an amazing tribute to a very special woman. Prayers for her family and friends, I know this pain is so hard. I am nominating my friend’s daughter, Caoilinn, who is bravely battling leukemia. She has been such a motivation in faith through her difficult journey. A small gesture like this would really lift her spirits. I have three dear women who are facing their fears and fighting like Manda did. Karen is a second time warrior after 40+ years and needs a complete bone marrow transplant but first she must find a matching donor. My cousin Kristie has to travel in a week to find out if the mass on her kidney is operable and treatable. Sweet Sienne has started her third excruciating round of chemo but her tumors aren’t shrinking. She is a light everyday and her faith has never wavered. I’m praying and loving on each of them and would love to give any one of them the comfort of a beautiful blardigan. Thank you! I would like to nominate a friend of mine. She is battling cancer again after having been in remission. She has three boys and a husband and she maintains her wonderful humor every day. Thats a very sweet gesture from you to honour your friend. I would like to nominate a colleague of mine who is currently battling with cancer . She is the most bravest person I have seen. Always have a smile on her face ,eventhough she discovered she had Stage 4 Bone Cancer she is fighting with it as a Warrior Princess. Thanks for all your love . I nominate my friend Karen. She is the mother of 4 beautiful children, 3 of which are triplets. She is battling breast cancer and will be undergoing a double mastectomy on March 17th. She is truly an inspiration. She has such an amazing positive attitude and strong faith and handling this obstacle with such tremendous grace and courage. I think this is a lovely way to honor Manda. Being a baby blardigan owner myself, I know my mom would have loved one of these when she was battling cancer. I nominate Holly who is fighting her 2nd round of breast cancer. I know her from high school and really now only through FB but we being from a small town, we know her and her whole family. Before my mom died, she was working in the superintendent’s office with Holly’s mom & loved her dearly. I would like to nominate my dear friend, Kirsten, she was recently diagnosed with stage 3 colon cancer and begins chemotherapy within the next week. Cancer has hit her family particularly hard as her father died of colon cancer two years ago and her 13 year old nephew died from a brain tumor 3 years ago. Full disclosure though: I nominated her sister, Nissa, a couple of years ago as a special needs mom and she won. For my sister in law Tamee she too is battling Leukemia yet finds a way to be a mom to three young boys, wife to Steve all the while keeping her eyes on Jesus and sharing his Gospel. My Mom is currently battling leukemia. My Dad was diagnosed with colon cancer in April 2014. We lost him in March 2015. My Mom started getting sick a few months later. And received her diagnosis in September 2016. It has been a tough road. But my Mom is a fighter. So glad I have her. So honored to take care of my parents during this stage of life. I’m only in my 30s…so it’s hard to see my parents like this. They were always my rocks. But my Mom has such strong faith. On the days, when I feel like I can’t go anymore…God is holding us up. Sending me words of encouragement. Giving my Mom strength. I’d love to nominate my friend Amanda. She’s 30, has four young kiddos and is battling cancer with a 6 month course of chemo. Continued prayers for your dear friend, Manda. I would love for my sweet, sassy Carline to be blessed with a blardigan. She is an incredible mom, daughter, sister, friend and lover of life. She was diagonosed with colorectal cancer right around her 50th Birthday. She has dance parties post-chemo. Her girlfriends bring balloons to treatment. I’ve never heard her say a negative thing in all my time knowing her. She is the strongest little fighter (seriously, she’s tiny). And I hate what this disease does to her. I would like to nominate my cousin Mary Teresa. After losing her mom to lung cancer a few years ago, Mary received the news that she has cancer in several places of her body. She recently fell and broke her femur and had to have surgery on top of this. She is now in the hospital recovering from surgery and will then move to rehab all while battling cancer. She is a fighter. She is determined. She is a mother of two and a wife to her high school sweetheart. Sending cards and flowers is something I do often since we live over 3 hours away and I can’t always go visit. But gifting her a blardigan in Manda’s honor would be amazing. What better comfy cozy thing to keep her warm in the hospital and rehab and then once she’s home as well. I nominate my friend Elise Canipe who has managed to survive cancer breast cancer in both breasts and now is battling again. I would like to nominate my sorority sister Katherine. Katherine is a 30 year old mother to a one year old baby boy. She was diagnosed at 22 weeks pregnant with AML. She spent her last five months pregnant undergoing chemo and returned home as a family of 3 cancer free. 7 months later, the cancer returned. She just recently had a stem cell transplant and all is going well. She is one amazing woman! Such a sweet sweet girl. For a friend that her husband has stage 3 colon cancer. For her to take and sit with him and wrap up while he is in treatments. Thank you. What a blessing your group of friends are!!! For Jennifer, battling multiple myeloma. I would absolutely love one of these. I’m having my 3rd surgery in 2 months. I would live this for my aunt Mary who is battling colon cancer with amazing strength and faith. I nominate Liz Haynsworth. A young mom, battling breast cancer with 2 little girls at home! Jen Miller Kelly is currently going through her 2nd round of chemo for CLL. She has 3 beautiful kids and a wonderful husband. She’s such a sweet person. I would like to nominate my college friend, Natalie. We had our baby boys on the same day in 2016 and she received her stage 4 lung cancer diagnosis when her son was 2 months old. Her prognosis isn’t good, but she is fighting hard and relying wholly on God. What a wonderful gesture. I just lost a very good friend to cancer on Friday. I have several friends who have recently finished chemo and/or radiation. Prayers to all those fighting. I have a blardigan and gave my daughter and daughter-in-law one at Christmas and they truly are like a hug when you wear them. I would like to nominate Joan. She recently sported a knitted beanie that reminded me of blardigan knit that was multicolored like a rainbow. Looked a lot like Guy (on Food Network) with bleached blonde hair and rainbow tips! She dyed a huge hot pink breast cancer ribbon into the back of her head before she lost iall her hair. She has such a positive attitude during this whole journey. My friend since high school, Sarah. She was diagnosed with an aggressive neuroendocrine malignancy that is very rare. I nominate my friend Julie who is battling breast cancer. She has faced so much in this life already and would love to see her receive this little blessing. For my cousin who is currently going through chemotherapy. Thank you for doing this in honor of your friend! For my sweet friend. ???? I would love to nominate my friend Christina Warner who faces cancer with a HUGE smile on her face. Though I’ve just met her, I can already see the warrior she is. She puts all her faith in the Lord. 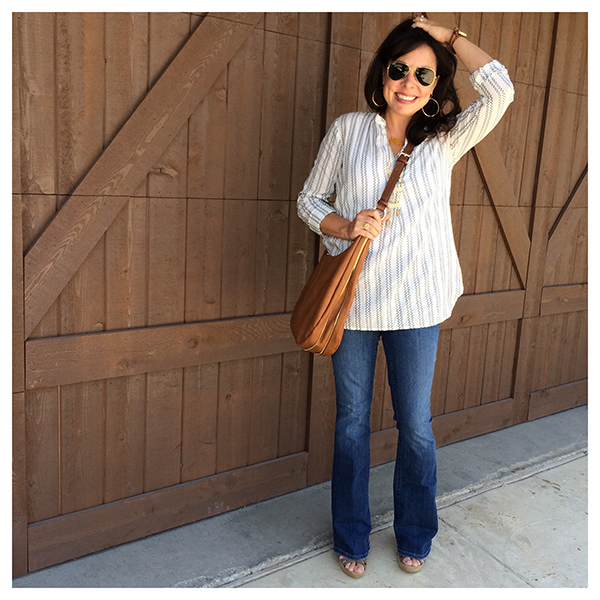 I love reading your blogs….. and your style is so like mine. I have ordered several pieces from your suggestions. I am nominating my friend, Julie. We work together at Childrens Healthcare of Atlanta. She is such a sweet caring soul. This year she lost her mom and her dad and is now going through chemo for the 3rd time battling her breast cancer. I know she would love it!. I’d like to nominate Julia Gardner, my 23yr old newlywed daughter going through Acute Lymphoblastic Leukemia treatment. Cancer is terrible and a blardigan is like wrapping up in a hug! I’d like to nominate a friend although she herself doesn’t have cancer her husband is fighting stage 4 brain cancer and she’s pregnant with their first child. A blardigan would be great for her! I nominate my friend, Natalie Quinn! I would like to nominate a friend, Emma Rose. She is currently battling leukemia for the second time around and I’m sure would love some comfort. I’d like to nominate my friend Kristine who at 37 was just diagnosed with Breast Cancer and she is fighting fearlessly. She is kind, funny, strong, resilient and as we, her friends, say cancer as messed with the wrong bi&ch (pardon my french)! I nominate Emily Suess, a coworker recently diagnosed. Manda’s service was simply beautiful. Prayers continue for her family and her friends! I have followed Manda’s story, watched her video and her service. While watching, I prayed that even one person would be led to Jesus and I have no doubt that many have! I nominate my friend Katy, who is battling Stage 4 cancer for the second time. Katy is a mom of 2 who continues to give even when fighting this battle. I love my blardigan and I know she would too! I nominate my precious friend, Denise Perkins, to receive a blardigan. Denise is currently battling metastasized breast cancer. She is the mom of 4 beautiful children, loving wife and sister in Christ. For my Mother Janet Anthony, who has been battling multiple myeloma for the past nine years. She’s my biggest warrior who has battle breast cancer as well and barely survived a stem cell transplant. Her circulation is bad and is cold most of the time would love to present this to her to cuddle her on those dreary days when she just can’t get warm. I nominate my friend Christy! She is battling stage 3 melanoma and fighting like a champ! She has four small children and her strength and unwavering faith in the Lord is so amazing! So many are desesrving, past and present. Some friends you don’t get to see often, but when you do you just pick up where you left off right?! Well, my friend Lindsay and I are exactly like that. Friends since 5th grade when she lost her mother suddently at 29 from breast cancer, and even though we’ve been transferred all over and rarely see each other she knows I have prayed for her during most recent breast cancer. She was diagnosed, quickly did chemotherapy, had a double masectomy and reconstruction as of this past November 2016. She is a mother of two, a working wife outside the home and incredible at giving others her smile. A blardigan to wrap her in comfort and love just like Jesus held her along the way would be precious, Thank you. What a nice tribute to your friend, Manda. I am a thyroid lymphoma survivor (5 years ago) and breast cancer survivor (3 months since my last radiation treatment). The support I receive from my family is amazing. My winning blardigan will be given to a family member. Thanks, Sheaffer, for the opportunity to pay it forward. I would love to win a blardigan for a friend who is currently bravelyundergoing at least her 4th round of chemo. I want to nominate my aunt, Teresa. She has just begun her second battle with cancer, this time facing the giant of peritoneal cancer. I would like to nominate Jessica. She is a newlywed who is battling cancer in her leg. She has had to move to Houston for treatment and is away from her friends and family. Throughout the entire process she has put God first and I would love for her to have a little comfort during this time! Edit: Amy has 4 adopted children, not 3! The blardigan is a favorite of the ladies in my family. We just gave my mother one as she just completed chemo and radiation for aggressive breast cancer. She loves it! I would like to nominate my friend, Rachel Eckensair. She is struggling a third time with cancer and is doing chemo every three weeks indefinitely. She has handled everything with such grace and unyielding faith in God. She’s an amazing middle school teacher and inspiration to us all!! My cousin, Kirsten, undergoing treatment for breast cancer. She is fighting with spirit and determination, and loves soft, fuzzy things. I know she would love a blardigan. Nominating another Katie, diagnosed last week, more appointments to come soon. Her husband has also been very ill. I nominate Melissa Redwine. She’s a dear friend. She’s 34 years old with three precious little girls. She’s an incredible woman with a strong faith! I nominate Brittany Brobrowski a 26 year old who has recently been diagnosed with cancer. I would like to nominate my neighbor and friend who is battling breast cancer. In addition, her husband suddenly passed away in January. Thank you, Sheaffer! We have a family friend who is battling cancer now. I love my blardigan and would love to give one to her. Thanks for doing this! In honor of a friend that is battling Cystic Fibrosis-I would love for her to blessed and comforted by a beautiful blardigan. She received a double lung transplant last April and her body is now trying to reject her new lungs. Even if we don’t win the contest, please lift her up in your prayers. Her name is Libby. My prayers are with you during the loss of your precious friend, Manda. What a wonderful way to honor her. I nominate Mallorie Knight, a young mama of 3 boys age 6 and under. She is battling breast cancer. Thank you! For my mom who is walking my stepdad through lymphoma. I have a friend from college currently going through treatment for breast cancer. Her name is Andrea. 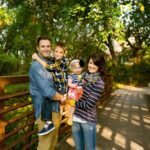 She has a five year old little boy and her husband is the pastor of a church plant across the country from their families. I would like to nominate my friend Erica who has stage IV metastatic breast cancer. She is a young mom and she is a fighter and she inspires me every day! Thank you for hosting this giveaway in honor of Manda. It will be a blessing to whoever receives it! My friend Jill WooChing #woochingstrong is not only my friend, mentor and amazing woman of God she is also responsible partly for leading me back to a relationship with God in the midst of my own trial, when my daughter was sick. She is currently battling her 2nd diagnosis of cancer and is fighting with beauty, strength and a testimony to our Savior. A blessing blardigan would be amazing to cover her back brace she wears. going through breast cancer treatment since July 2015 at the age of 40! I would like to nominate a sweet little girl that I’ve known from my high school days, Lisa Lowe Wilson. She only has a “crown” of hair left, at this point, and would sure need a blardigan to wrap up in during her treatments. She is as sweet now as she was when she was a little girl. Breast cancer is nasty but she still smiles through. I’d like to nominate Alana Rushing Weston who is battling stage 4 breast cancer. I would love my mom to win a blardigan! She was diagnosed with breast cancer in October. She just had a double mastectomy and has 10 rounds of chemo left. She also loves alll things comfy! ❤???? Would love this for my mom. Nominating Nicole!! Young and strong and fighting the good fight. My friend, Fawn Strickler. 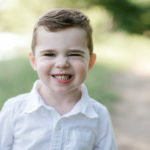 She’s a Mama of a 2 year old and she is fighting stage 4 cervical cancer! Would love to wrap her up in a blardigan! I nominate a family friend, Lynn Dixon, who was recently diagnosed and will soon begin treatment for lung cancer. She is young, a mother of two, and a loving wife of a pastor. She needs love, comfort, and as many prayers as she can get. Thank you! What a sweet testament to your friend! I nominate my mother, Anne Rogers. She was diagnosed with cancer that has spread to he her liver last week. She is currently waiting to find out what type and a treatment plan. My mother-in-law, Jane, was recently diagnosed with Infiltrating Lobular Carcinoma. While she is still very early in the process of treatment, we are storming the gates of heaven on her behalf and praying for total healing. She and her husband (my father-in-law, Mike) are currently helping to raise two of their grandchildren ages 15 and 13. Jane is a phenomenal women who loves the Lord and her family and I know that your gift of kindness would bless her immensely. I would like to nominate Brittany Nuelle from Katy, Tx who was diagnosed just last month with stage 4 Lymphoma. She has a 4 month old and two year old. Her Faith is much like your friend Manda! She is a beautiful, selfless, God fearing & loving woman who needs prayers! Would love to see her get a blardigan during her 11 treatments! Insurance isn’t covering any of this. What a small blessing this could be. Hugs & prayers. I’m nominating an old co-worker. She is battling breast cancer for the 8th time right now and I think she would love a blardigan to take to chemo. Her name is Joanie Kerr. I’d like to nominate my friend Trina Phung who’s battling fat tissue tumor. She has to undergo chemotherapy daily. Trina has a lot of love to give to people and it would be a blessings for her to wrap herself in a warm cozy blardigan. For my best friend who is battling breast cancer. She has fought so much due to her youngest needing intense surgery at only 2-weeks old and now she is battling this. She lives a state away from me and I hate I cannot be there to give her a hug. What a sweet blessing you ladies are! I would love to nominate Katie Green. My mom, who’s just starting her battle with breast cancer! Thank you! I’d like to nominate my friend Trina phung who is battling with fat tissue tumor and has to undergo chemotherapy and radiation. Fiona Roberts, a sweet friend, wife and mother of 3 and 4 yr olds, battling ovarian cancer. Would love yo nominate my friend battling breast cancer. She has 2 kids 3 years and under and this would be a nice surprise for her! I would like to nominate Cissi Scott. She is battling cancer for the third time and is a blessing to all who know her. I’d like to nominate my mom. She was just diagnosed with breast cancer and is really struggling through chemo and radiation. I would like to nominate Kristen LaPoint. She was just diagnosed with Breast cancer and must got through chemo first. She is a high school classmate and was one of my first friends when I moved back to Kansas in middle school. I would like to nominate my sons preschool teacher, Latasha Branch. She is currently battling breast cancer, yet she still comes to work with the children a few times a week as her energy allows. Her positive attitude spills out of her and is infectious. I nominate my sweet friend Beth who just finished her last reconstruction surgery and is on the way to full recovery! Your friend sounds like a wonderful person and it’s lovely to see you honoring her in this post. I think a blardigan was a perfect gift for her at that time! I would like to nominate a woman in our small community who was just diagnosed with stage three breast cancer. She was married to our police chief who was shot and killed in the line of duty five years ago. She has a young son, and so deserves a gift as she begins her journey. I nominate our friend Michelle B who during her pregnancy found out her Leukemia had returned. She will continue treatments after just delivering a healthy baby girl, Aurora! She is amazing and could use some comfort during this next phase! I would like to nominate my friend, Caroline, who is battling Uterine cancer. Not only is she fighting cancer, she is also dealing with MS…double trouble! Being a single mother, she has sacrificed so much of herself with such Grace, I would love nothing more than to see her Blessed with this gift. I know she would be honored to be the recipient of the Blardigan Blessing. My amazing mom, Maureen Shepherd who has been fighting bladder cancer for 19 years. I would love to nominate my sweet friend, Kelsi Wolf! She was diagnosed with a glioblastoma shortly after her first child was born. She is a light for Jesus and her faith has been unwavering. Kelsi is fighting hard, and I know she would love a blardigan to cozy up in on treatment and recovery days. Thank you for doing this in honor of your sweet friend! Hi! I would like to nominate a sweet sweet person named Katie she has Down syndrome but recently got diagnosed with Lympomia…..and about to start treatment. She lights up this world with her spirit and I would love to see her win this blardigan to hopefully bring some happy her way. I’m nominating my Aunt Ruby…She’s 84 and continuing to battle throat cancer… taste buds have been killed, saliva glands are pretty much gone… she cares for her husband of 68 years as he is battling a form of Parkinson’s… she’s a trouper and doesn’t complain much. Hangs onto her faith in God. She is simply amazing!!! Hi, I would like to nominate a friend Rebecca who is battling colon cancer. Her diagnosis was not good, but you’d never know it by her bubbly personality and positive outlook on everything! Thank you for showing Jesus’ light to so many women! I would like to nominate my friend Emily who was recently diagnosed with breast cancer. She is a mama, wife, entrepreneur and most of all an inspiration to many. It is a miracle that her cancer was caught, and she is handling her diagnosis with an amazing attitude! She is so special and what a treat it would be be bless her with a blardigan. I am nominating someone I’ve only met once through Matilda Jane Clothing, but is an inspiration to me. Alana Rushing Weston is battling stave 4 metastic breast cancer that has spread to her liver. She is a beautiful picture of Grace through trial and faith in God and his plan. She reminds me with her facebook posts to seek Him. She is currently preparing for another round of cyber knife radiation. She deserves a blardigan. I would like to nominate my friend Joelle Schnell who was diagnosed with glioblastoma (brain cancer) last month. She is currently in week 3 of radiation and chemotherapy. Although this diagnosis has been devastating I have been so impressed with her positive attitude and her ability to see good in a bad situation. She is one of the kindest, most loving people I have ever met and would love for her to be able to wrap up in some blardigan love! I would like to nominate the previous 13 year old, Maggie Sue Spencer. This young lady has bravely battled leukemia for some time now! She would love a blardigan! You can tell She was loved by many! Sorry for your loss. Nominating my friend Jen who recently went through a ten hour operation for stage three ovarian cancer. She will be starting aggressive chemo treatments in about a week or so. Would love to wrap her in this comfort to know we are praying for her. Thanks. I would like to nominate Tammy Salamone who was just diagnosed last week. One of my best friend’s mom is going through cancer treatments right now. Would love a blardigan for her!! My friend Susan from high school, fighting the battle now & would love to send her a blardigan. I would love to wrap my friend, Tiffany Davis up in an amazing blardigan. Tiffany is definitely battling right now and i know it would help. So sorry for your loss. I’d like to nominate Tiffany (aka) Pearl who is going through chemotherapy now. She is a giver. Her son is autistic and she has been involved in fund raising and awareness his entire life. I know the comfort a blardigan gives me and Tiffany deserves that as well. I would love to nominate my sweet mother in law. In January of this year she was diagnosed with Stage 4 Breast Cancer that has spread. She has been through radiation, and is now going through chemo. I know she would love to be snuggled up in a blardigan while she’s doing chemo and hanging out around the house with my sister in law and father in law. Sending all of you so much love! For a friend fighting strong!! I’m nominating my dear friend’s mama, Renee. She’s battling breast cancer. ???? What a sweet giveaway. I would love to nominate my friend Carol. I would like to nominate my friend Erin Urquhart. I teach with her at Centennial High School in Frisco. She is a French Teacher (II, PAP II, PAP III, AP) and French Club / National French Honor Society sponsor. She is truly a fighter and an inspiration to us all! I would love for her to be a recipient of a blardigan. I would love my friend, Tracy, to win a blardigan to wrap herself in! She is battling ovarian cancer since mid January. She is age 48, and has 3 teenagers. She gets cold easy from her chemo treatments and would absolutely LOVE the warmth from the blardigan!! For my teaching partner Clare, because she is loves sweaters and is fighting cancer right now. I would like to nominate my mom, Melinda Harris. This post could not have come at a better time. She is currently in the hospital battling breast cancer and is started her 3rd round of chemo. She was diagnosed 5 years ago and it has been a constant fight ever since. God bless everyone fighting cancer and thank you ladies for this caring give a way. What a sweet way to honor others battling cancer. I would like to nominate my friend Rosie. She has been battling Leukemia for the past year. She has a 3 children, 10, 7, and 2. She was diagnosed shortly after her girl turned 1. She went through 9 rounds of the most intense chemo available only to be told at the end that it did not work. She is currently undergoing immunotherapy and then she will then need a bone marrow transplant. She is having to stay in San Francisco, 90 minutes from her home, in the hospital. It would be amazing for her to win a blardigan to wrap up in during her treatments. I would love to win a blardigan for my friend Sonja. She began chemo/radiation today for a brain tumor. Her faith is amazing, and she is so positive and strong. Thanks so much for the opportunity in Manda’s memory! I nominate my sister Jolene who was recently diagnosed with an aggressive form of breast cancer. She underwent a double mastectomy last Thursday and will begin chemo soon. She’s only 40 and a single mom to a 9 year old daughter. She’d love this! I’d like to nominate a dear friend of my mom’s…Erin, who is currently going through chemo for breast cancer. She is a blessing to all and always available for anyone who might need help. Thx for the opportunity to bless her! ???? For my friend Lisa, battling a second round of breast cancer. I’d love to nominate our friend Stephanie K. Brain tumor and now breast cancer. Prayers, please for her husband and 2 young kiddos. Gosh, these things are so hard to understand….. I hate that there are SO many comments here–it means there are so many sad friends and families. 🙁 Hugs to you all! Blessings…… for my friend Stacey. For my sweet momma, Harriet. Her battle just started. Love and strength to all of these brave women! For my beautiful friend Kate. I would like to nominate my husband’s aunt JoEllen. She has been battling cancer since October. She has shown great strength during such a hard time and it has been amazing to see how much her family and children have rallied around her during this difficult time. I would like to nominate myself and my BFF Ann Sanchez as we both are currently undergoing chemo. We’ve been besties since 1992 and both started chemo on the same day. My friend and co worker, Sandee is having radiation treatments for breast cancer. She is a hard working, beautiful lady who I would love to share a blardigan with. I want to enter my sweet friend Brenda Winfree. I’d like to nominate an inspiring mama to three fighting breast cancer. Gretchen does it with such grace and never a complaint. What a beautiful way to honor your friend. I want to nominate Stephanie Friemel. My boss’s wife just received a stem cell transplant for her cancer. She’s got a long recovery ahead and a blardigan would be a comfort to her. I would like to nominate my friend, Jackie Solano who is battling breast cancer. She is amazing. 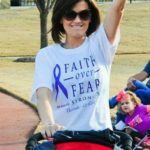 Even though she has been battling cancer she has managed to participate in 2 half marathons in the last few months by walking and being pushed in a wheelchair. She is always so positive even though I know she is fighting for her life. What a sweet (and warm) way to honor and remember your friend! Blessings! I nominate Becky Evans who not only is battling cancer but just lost her husband unexpectedly. Thank you! Ambra Magee. She’s fighting hard for her babies! I would like to nominate by sweet Aunt Lorrie. She is currently going through chemo for ovarian cancer. Thanks and God Bless. I would like to nominate one of my best friends Tara’s mom, Mrs. Leigh. She is battling brain cancer and they just found another tumor and she had another surgery on Saturday. She is a grandma of 4, a loving wife & mom of 3 and an inspiration to us all. She is keeping her spirits up with her “I got this!” Attitude but she needs tons of prayers! I know that she would be truly blessed by a blardigan and it would help her through her cancer treatments! Thank you for sharing Manda’s story. It is inspiring! My wonderful cousin Alicia Barkman is currently battling breast cancer and in the hospital where it’s always so doggone cold. Her faith,her warrior of a hubby David and her 2 children keep her positive and strong. So I would like to keep her cozy. Please please pick Alicia. Thank you for sharing your friend Manda with us. What a blessing you girls are!! Such a special way to honor your friend!! Entry for #1 – Thank you for doing this! I nominate two amazing and God-fearing women – who shine for Jesus as your friend did. One in Dallas, just diagnosed, one in Houston, diagnosed last fall. As the Lord would have it, they are close friends to each other, praising Him that they are on this journey together. Carrie and Louise, both amazing moms with families in school, jobs to go to, and treatment to receive. Entry for #2 – Thank you for doing this! I nominate two amazing and God-fearing women – who shine for Jesus as your friend did. One in Dallas, just diagnosed, one in Houston, diagnosed last fall. As the Lord would have it, they are close friends to each other, praising Him that they are on this journey together. Carrie and Louise, both amazing moms with families in school, jobs to go to, and treatment to receive. Such an awesome way to pay tribute to your friend. I nominate Maggie who is fighting cancer…Unbelievably, her husband is fighting cancer at the same time. They deserve all the good feels they can get!! For my childhood friend Mellissa Corniea. I would like to nominate my friend, Amy, who has been fighting breast cancer and is undergoing surgery at the end of this month. Blessings to all and thank you for the opportunity to give a blardigan to Amy. I’d like to nominate my brave friend, Britany Ek, who is currently battling breast cancer. She’s an amazing mom to 6 yr old twins and a 2yr old, and is a fellow Navy spouse. Love you, Brit! I’d like to nominate my dear friend Kristine. She was diagnosed with an extremely rare cancer just weeks after she graduated from college at the age of 21. She has been battling this same cancer for almost 10 years now and her positivity and faith throughout everything continues to inspire and amaze me. I’d love for her to win a blardigan to snuggle in as she recovers from her third major abdominal surgery and prepares to fight her third round against this terrible cancer at the age of 31. I’m entering my friend Ashley Watford. What a special way to honor Manda! I love this. What an amazing friend. And what amazing, supportive friends you are. I wish I had known about the Blardigan when my mother was battling cancer 2 years ago. They look like the definition of a cozy hug. What a blessing!!! Entering for a sweet friend, Starr Rouse! I’m nominating my mom Denise who is battling breast cancer and was diagnosed this past October. She is so positive and so far is rocking her treatment. Right now during chemo she has to put her hands and feet in ice water while getting her infusion to help prevent neuropathy. A blardigan would be perfect! What a beautiful friend to have. My mom Cathy has been battling Multiple Myeloma for 4 years. She would love a blardigan to keep her warm. After her bone marrow transplant she gets so cold. Such a loving tribute for your sweet friend! I am entering for a friend, Karen Ghormley! Stay strong Sheaffer! Would like to nominate my mother who was just diagnosed with liver cancer. She moved from Guatemala where she is from to Baltimore for treatment. She is not used to the weather and is always cold. The blardigan would be perfect for her. What a sweet tribute to your dear friend! What a sweet and loving friend Manda was! And what sweet and supportive friends you all were. I would like to nominate my sister battling kidney and bladder cancer. First of all, I want you to know that I’ve been praying for you and for all of Manda’s friends and family. I’m just 29 years old and I was recently diagnosed with breast cancer. Manda passed away a few days before my bilateral mastectomy. While I was deeply saddened to hear of her passing, I was also truly inspired by her faith. I was reminded that God is control and it brought me a sense of peace before my surgery. Faith over fear has become my new motto. I hope to use my battle with cancer to be a flashlight for Jesus, just like beautiful Manda. How beautiful! I would like to nominate my friend Kris. She is battling stage 4 colon cancer right now. Nominating my friend and neighbor, Amanda. She is battling an aggressive form of breast cancer with 2 young boys at home. She is a beautiful, strong woman with a fighting spirit! I’m entering for my niece Elizabeth D.
Love this….it warms my heart. I would love to win for a friend who was recently diagnosed with Breast Cancer. I’d like to enter my sister, Laura Kowalski. She’s 29 and a single mom who is currently undergoing radiation and chemo therapy treatments for cervical cancer, after having a radical hysterectomy in December. She would love a blardigan! Thank you for doing such a fun and sweet thing to bless the people we know who are battling the same ugly thing your Manda had to fight. So thankful Jesus conquered it all! I’m scrolling through all of these nominations and it’s heart wrenching! There are too many people fighting cancer! I would like to nominate a fellow YMSL mom who just discovered she has breast cancer and started her first rounds of chemotherapy a couple of weeks ago. It takes a village and I would love to give her a blardigan so she can feel warm and loved by her community family. I don’t know this next person personally but my high school best friend asked me to pray for a fellow friend of hers from her home town whose 23 year old daughter was just diagnosed with lymphoma and immediately started chemotherapy the next day. I can’t imagine how scared she is and her mom! Mom’s hate to see their children sick and suffering. The daughter is Sarah and the mom is Stacey, maybe they could share it when they are there together. I’d like to enter for my mother in law who is bravely fighting the horrible ovarian cancer. I nominate my mother in law, Patricia Miller. I nominate my amazing sister, Megan battling cancer with 3 boys under 4. I would love to gift one to my sister. She had a double mastectomy 3 years ago after chemo and radiation. She just found out the cancer is back in her left breast and needs to have surgery and chemotherapy again. I’m nominating my dear friend, Maggie, who is battling breast cancer. She has done everything right in her life so why her. Maggie was tested, after her mother died at a young age of ovarian cancer, for the BCRA gene, and of course she didn’t have the gene but still ended up with cancer at 33, with two small boys to care for. She is a wonderful role model for all of us and has managed to stay positive through it all! I want to nominate a very sweet teacher, Shari Sawyers, who is battling cancer for the second time. While being an amazing mom of four with a husband who has battled cancer before as well. She is an amazing Christian and a fabulous teacher!!! For Jen who is fighting Inflammatory Breast Cancer. She had a double mastectomy last Tuesday (3/7) and is home recovering. A long road of treatment ahead of her. I would love a baby blardigan! So sweet of you girls. I actually already gifted one to my bestie who is currently in her 4th round of chemo. 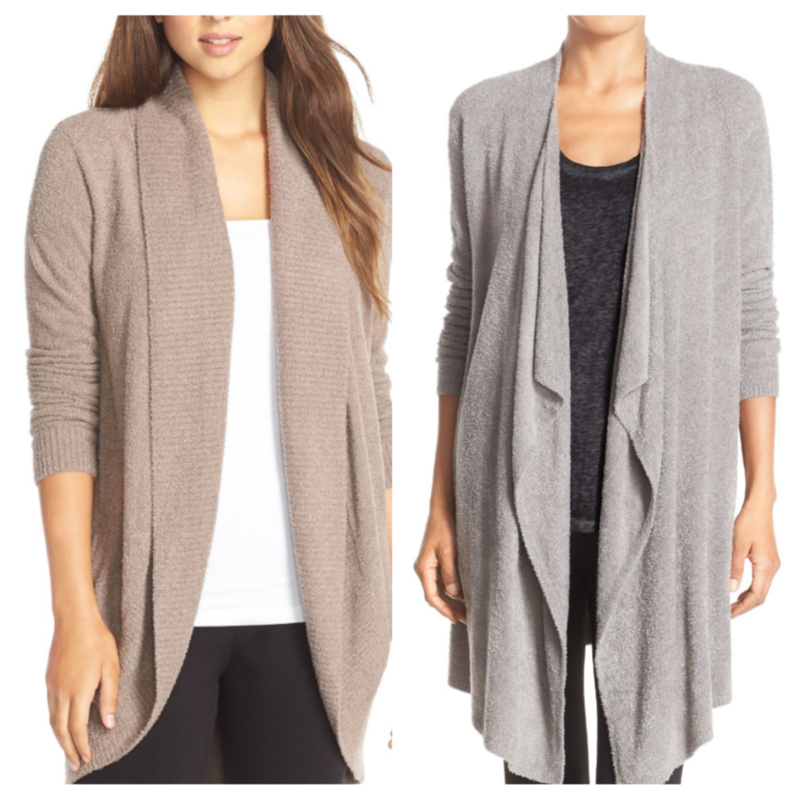 She loves it and it’s her go to sweater right now because of the comfort. She is one I wish I knew from her friends’ testimonies. Blardigans look amazing! What an amazing way to honor Manda! I love all you ladies!! I have two friends to nominate. #1 my friend Dana Mareshie who has just wrapped up treatment for her 2nd battle with breast cancer! She’s a fighter and always puts others before herself! I would love to bless her with this sweet gift! I nominate my coworker and friend, Jennifer Larriviere. She begins radiation tomorrow, but has been a source of strength and example of grace for so many throughout her journey! What an amazing way to honor Manda! I love all you ladies!! I have two friends to nominate. #2 my friend Alison who was diagnosed last year with breast cancer and has managed through a very difficult year without any family nearby. She was in TX while most of her family was in OH. Her friends rallied around her to help but she managed the appts/care on her own. I would love to bless her with this sweet gift! My friend Andrea will be starting radiation and chemo this month. I would love for her to have a blardigan. I would like to nominate my friend Jan to receive a blardigan. She has been battling a rare genetic form of cancer since I first met her about 15 years ago. As a matter of fact, last week her brother had the identical surgery for it that Jan had last August. I would love for a friend since college, Simone, to have a blardigan/baby blardigan. She is starting her second battle against cancer with surgery today. What a tribute to your friend Manda this is. You are all continuing to let God’s light shine through her. Beautiful! Still praying for all her friends and family. This is so very sweet! Would love to give my sister one to know she is always loved by her big sissy! Wow, what an amazing testimony from Manda. Her faith and positive attitude despite her suffering was truly humbling. Very sorry for the loss of your friend. I would like to nominate Heather C who has been fighting cancer this past year. She is an amazing teacher and has kept working during her treatment. She is such an inspiration to all her fellow teachers and students. Thank you for the beautiful tribute to your dear friend, Manda. May God Bless You All. I can get think of anyone more deserving of a blessing than my sweet friend, Ashley Gunter. A faithful servant of Jesus, a devoted wife, loving mother of two, diagnosed with terminal breast cancer. She has a faith that’s inspiring; a story that wrecks me, in every single positive way. She inspires me to love bigger, live better, and love boundlessly. I realize this will swim in a sea of comments, but her story is worth sharing. Your friend was beautiful and will live on through your voices. Thank you for sharing. What a beautiful way to honor your friend! I am having my own battle with cancer and would love a blardigan to wrap myself in. For Erin, who was just diagnosed with squamous cell carcinoma this month. For my friend Stephanie, a young Air Force wife and mother of a 2 year old girl who was recently diagnosed with brain cancer. What a blessing you and your friends are. I would love to bless my Aunt with a blardigan. She is battling lung cancer for the fourth time and continues to be such an inspiration to our entire family. Her two sisters, one was my mom, died of cancer and she fights every day to beat this terrible disease. Thanks for all you do! I nominate my sister in law Joyce. Joyce is currently battling brain cancer and has she children ages 5 and under. She too has so much faith- she’s an inspiration to us all. Mandy is an inspiration and a reminder to hold fast… to know that God has us! I nominate my wonderful MIL Jeanne who is battling Stage 3 lobular brest cancer! She is a warrior! This is her second time with breast cancer and the two times are unrelated. It has been a rough road but God’s got this! What a blessing she was, even to those that didn’t know her. I nominate Julie Donaldson, batteling a 2nd round of bread cancer. I would love to bless my friend Julie with a blardigan. She is batteling recurring breast cancer and also lost her mom and dad within the past year. I want to leave a comment so that my friend and co worker, Cindy who is battling cancer right now, is entered to receive a blardigan to wrap up in! I would like to nominate a friend, Louise Gunter. She was recently diagnosed with stage 3 breast cancer. I also wanted you to know how Manda’s saying, Faith over Fear has encouraged me. I was diagnosed with cancer 2 years ago. I go every 6 months for follow up testing. Just today, I found out all tests were clear for this follow up. I kept reminding myself Faith over Fear! Thank you for sharing that! Nominating my friend Brooke, who is battling colon cancer a second time with two young children at home. I nominate my friend Shauna. She is battling cancer right now, and managing to work as my nephews 3rd grade teacher through it all. I know she is wrapped in the love of Jesus everyday. You kind offer to give her comfort and warmth is so kind. For my friend Mandy, who just started her battle. I’d like to nominate my friend, Stephanie, who is battling Stage 4 Breast Cancer (third time in 7 years) to receive a blardigan. She is so deserving of and is such a blessing to all who know her. I’ve been so touched by your sweet Manda’s testimony and spirit. My heart aches for y’all and the many who love her and miss her! ???????????? I nominate my best friend’s mama, Shelley Rogne, who was just diagnosed with leukemia. For my sweet friend, Emily, recently diagnosed with breast cancer. For my sweet friend, Oleysa, mother of 4 young chikdre, who is battling breast cancer and in the midst of treatment. I know this would bless her! Sorry about your friend. She seemed to be an amazing person. I want to nominate my friend, Amanda who has pancreatic cancer and also has small children at home. She too is amazing and strong and loved by so many. My wonderful secretary, Carol, is starting treatment next week and I’d love for her to have one. Love how you remember her! – Would love a blardigan of my own! For my friend Marissa Quarles battling leukemia at MDA in Houston. She’s very weak and her fiesty spirit is broken as she has had to be separated from her family for almost 3 months. Lots of prayers lifted up daily. For Tracy, a beloved friend whose joy and hope shine bright as she begins her battle. I’m so sorry about your friend, Manda, and know your community of friends will be there for her young family going forward. I would like to nominate my mother, Rita, as she battles lung cancer. She’s a non-smoker, and so we were shocked when she received her diagnosis after testing done once she noticed that she became short of breath fairly often. She’s been the quiet rock of our family and is stoic in her fight. She’s also of a generation that doesn’t like to talk about personal battles publicly, and so my brother and I are trying to gently have some very serious conversations with her and my father about what the future holds. You girls are so amazing!! Keep up the good work. Spread love everywhere. For my friend, Marcie. Who is battling breast cancer at age 35. I’d like to nominate my college friend Kristine – a true warrior. She was diagnosed with an extremely rare cancer shortly after graduating from college. Throughout the past 10 years while battle this cancer, Kristine has been a shining light of positivity for her friends and family! I can’t say I know a single other person like her…the blardigan would be so perfect for her to wear as she recovers from a recent surgery and gears up for another round of treatment! I would like to nominate my dear friend, Tracy Brown, who begins radiation treatment for melanoma on March 20th. I have been down the cancer road with a friend and a couple of family members. Sadly, some but thank the good Lord not all lost the fight. The fight is hard on everyone and I want to say I read each and every single one of these nominations and I will say a prayer for each of them. I don’t have a nomination myself but what a way to honor the memory of Manda. My thoughts are with Amanda’s family. She was lucky as were you to have each other’s friendship. For my friend Laura who just lost her best friend to Breast Cancer leaving behind 2 younger children and a husband. https://vimeo.com/133917393. I want to nominate a friend that is battling cancer along the side of her husband while raising four children, Alison Despain. Her husband was diagnosed in September and I have included her recent post below. She was a friend in Utah and she now lives in Texas. I think any tender mercy that she receives is heaven sent. I can’t imagine what she is battling every.single.day knowing that there is nothing more that she can do. You are stronger then you know, braver then you think Jonathan and more loved then you can imagine! Together we have fought this cancer since you were diagnosed on September 6th, 2016 with very little sucess. The cancer has spread from the original two places of the pancreas and liver to the lungs, intestinal wall, t7 vertebral, sacrum (tailbone) both femur and thousands of small lesions throughout your entire skeletal frame. We have tried and exhausted all medical options as well as alternative options in an attempt to literally buy more time. With the first treatment /injections the cancer doubled, second form of treatment you coded and stopped breathing, with the third form of treatment each round of oral chemo you have become more sick and more nauseated as the cancer has continued to spread. You have continued to work and provide all while fighting for your life with very little sucess. Through countless prayers we have decided to stop all treatments. Jon is choosing quality of life over quantity. The Dr’s have given Jon 6 month’s. We are holding onto to every single day knowing it’s one less day. I can’t begin to tell you how proud I am of you Jonathan! You are my best friend! I couldn’t of asked for a more perfect partner or father. So many people love you!! I would like to nominate Suzette Luthi. Suzette is a teacher in McKinney. I have never met someone as strong and as brave as Suzette. She has been battling cancer since she was 18. She has four children and when she was pregnant with her fourth child three years ago she was diagnosed with cancer again I have never heard Suzette complain about her health or her situation. She has such a positive attitude about life. I admire her strength. I would like to nominate my friend, Amy R. Who is battling breast cancer. What a great way to honor your friend, Manda. I would love to nominate. Ms. Maryann Schmidt, my children’s preschool director on her own health journey. For my Grandmother “Ma” who is battling breast cancer for the third time… strong women! One person can impact many…with simple kindness and tolerance. I would like to nominate my sweet mama, Debbie Dryden, who is currently undergoing treatment for Stage 3C Primary Peritoneal Carcinoma. She is an amazing woman and she has handled her diagnosis and treatment with tremendous grace and determination, as she gives all the glory to God, every step of the way. I nominate Wendi Janet. She is battling breast cancer and has a 13 year old son with Cerebral Palsy. I would like to nominate Jess Howe who is a stay at home mother of four. She was recently diagnosed with breast cancer is scheduled to a double mastectomy with reconstruction soon. Her family comes first according to Jess and continues to be strong from them. Please keep her in your prayers. My mother in law, Phyllis. For Natasha, who was diagnosed with cancer one month after losing her husband to cancer. I would like to nominate my friend Cathy. I work with her husband and know the family quite well. She went through a year of chemo and radiation, and will be getting tests in a few days to see if she’s clear or still has cancer. Please pray that she’s in remission. Thanks. I would like to nominate a friend and co-worker Ann Showman. She had breast cancer 6 years ago and was just diagnosed with breast cancer again and had a bilateral mastectomy on March 8th, she is waiting to see if she will have to have chemotherapy. It is cold here in Ohio and I know Ann would love to wrap up in a blardigan. What a kind gift to give a friend in need! Kelly is my little sisters absolute best friend since they were toddlers and have continued to be for over 50 years. Kelly was recently diagnosed with breast cancer and I know she would love a blardigan to wrap herself in during treatments. I would love to nominate Maryann Engel Schmidt. 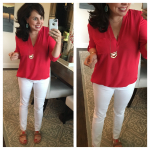 She is the director of our sons preschool and a great family friend – she is a true gem??? ?She is currently battling Multiple Myeloma. Our preschool did a surprise flash mob for her last week to celebrate her birthday! Watch the video to see just how loved she is by our preschool and community! The sweet words of these kiddos will melt your heart???????? It’s an absolute pleasure to nominate Maryann Schmidt. She is an absolutely amazing friend, who feels like family! Maryann is courageously battling her fight with cancer, and we know her strength, faith, and love will pull her through. The blardigan is the perfect gift to provide her comfort and warmth during this battle. Thank you for this beautiful design! XOXO! I also nominate Maryann Engel Schmidt. The grace, faith, and strength she exhibits during her battle with multiple myeloma inspires our entire school community. I also nominate Maryann Schmidt. I have worked with her for 17 years, the last 5 as my director at Oak Grove Preschool and Kindergarten. I just cant say enough words about how special she is to me, our teachers and the parents, children and community. She is currently out on medical leave after having undergone a stem cell transplant to fight this disease. She is very deserved of this. I nominate Maryann Schmidt, a local preschool director here. She is clearly a flashlight for Jesus in our community. The love she demonstrates for others, especially children, is amazing. She is battling Multiple Myeloma. She has a journey ahead of her and what better way to let her feel lived and comforted during a time when she cannot get all of the hugs and personal touch from those she has touched so much. Thank you for your consideration. To whomever is chosen and the rest fighting daily, blessings and prayers. For Denise…a woman full of faith and a fighter!